An Extraordinary Summit of Prime Ministers of the Visegrad Group countries, convened by Prime Minister Bohuslav Sobotka, is to take place on Monday, February 15, 2016. At the invitation of Prime Minister Sobotka, the summit will also be attended by Gjorge Ivanov, the President of the Republic of Macedonia, and Boyko Borissov, the Prime Minister of the Republic of Bulgaria. 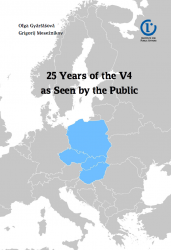 The first part of the summit will see the Czech Prime Minister Bohuslav Sobotka, Polish Prime Minister Beata Szydło, Hungarian Prime Minister Viktor Orbán and Slovak Prime Minister Robert Fico commemorate together the 25th anniversary of Visegrad cooperation, which happens to fall on February 15, 2016. The Visegrad Group was formed on February 15, 1991 in Visegrád, Hungary, with the participation of Václav Havel, the President of the Czech and Slovak Federal Republic, Lech Wałęsa, the President of Poland, and József Antall, the Prime Minister of Hungary. The second part of the summit, attended by the Macedonian President and the Bulgarian Prime Minister, will discuss migration, the stepping-up of cooperation between V4 and the countries of the Balkans, and further opportunities to assist those states currently bearing the brunt of migratory pressures as they seek to protect their borders. ”One of the Visegrad region’s priorities remains the implementation of the EU–Turkey Joint Action Plan, the achievements of which have not been satisfactory. It is equally important for Greece to stick to the obligations arising from its Schengen area membership. If another wave of migration sweeps in this spring, we need to be ready to help not only Greece, but also Macedonia, Bulgaria and other countries along the Balkan route to protect their borders. In this respect, the second part of the extraordinary summit aims to corroborate the V4’s determination to do its utmost so that the influx of illegal migrants into the EU is scaled down significantly and so that Europe regains control over migration on its external border,” said Prime Minister Sobotka.